When I ask my four year old daughter what she wants to be when she grows up she (usually) answers “a doctor”. I have often asked the same question when visiting schools or communities while working in Mozambique, Guyana, Tanzania or Ethiopia. At least one of the girls always answers “a doctor”. However the opportunities for girls and women around the world to reach their potential are not equal. Despite significant progress in women’s and girls’ rights, marginalisation and the denial of rights continues to be an issue for many girls and women. For example, the basic human right to education is denied to too many girls, despite the fact that evidence shows that education can transform lives. According to highlights pre-released from UNESCO’s next ‘Education for All Global Monitoring Report’ not only does education empower women and girls through increasing their self-esteem and confidence, it also increases their chances of getting jobs, of staying healthy and participating fully in society. Their education then goes on to increase their children’s chances of leading healthy lives. However, in practice 57 million children, mostly girls, still go without education. In sub-Saharan Africa and South and West Asia almost 3 million girls are married by the age of 15 (which is below the legal age of marriage in most countries). In these regions, 3.4 million young women give birth by the age of 17. If all young women completed primary schooling, this would result in 340,000 fewer early births, and if they all completed secondary education the total would fall by two million. In Tanzania, African Initiatives supports improved access to and quality of (girls) education through its partners the Pastoral Women’s Council (PWC) and Community Aid and Small Enterprises Consultancy (CASEC). In our ‘Girls’ right to education’ programme we build the capacity of girls to fight for their right to have an education. 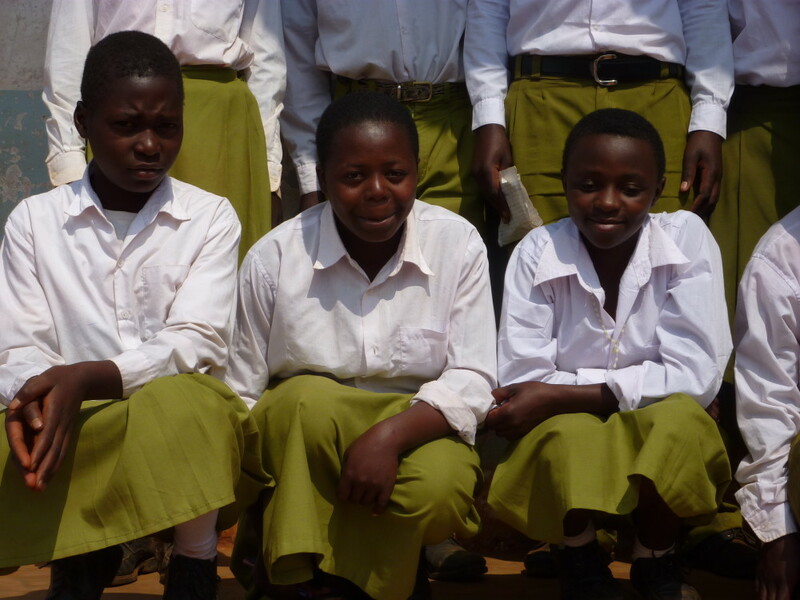 The aim is to reduce gender differences in the enrolment, retention and performance of girls in secondary schools. Through Girls’ School Clubs, girls find a safe space to explore their rights. Girls have become empowered and are now advocates in their community to change attitudes towards girls’ education. Read Nayaba’s Story about how Girls’ Clubs are helping her learn about her rights. PWC also works specifically with pastoralist girls to increase their enrolment, retention and performance in primary schools. In Ngorongoro district currently only 44% of girls or primary age is enrolled, whereas Tanzania’s national average enrolment rate for girls is 92% (2012). PWC also work with the education authorities at local and regional level to improve teacher training and to train female teachers from the community as role models and to provide inspiration to the girls. Finally PWC works with local government to lobby for larger school budgets. Equity and quality education will be crucial components in the post 2015 agenda. To unlock education’s transformative power, new development goals must ensure that all children benefit equally not only from primary education but also from quality secondary schooling. Most changes do not happen overnight. As the new CEO of African Initiatives I look forward to continuing and scaling up our work to improve girls’ education and women’s rights and opportunities. We have to make sure that one day all girls, no matter which country they grow up in, reach their potential to be a teacher, engineer, nurse, accountant, prime minister or indeed, a doctor. José Sluijs-Doyle is the new Chief Executive at African Initiatives.